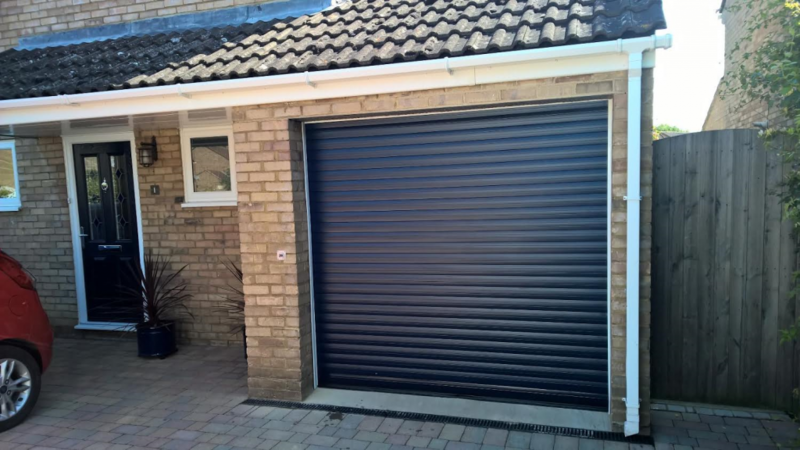 Compact Thermaglide 55 Electric Roller Garage Door installed in Kidlington, Oxfordshire, OX5. 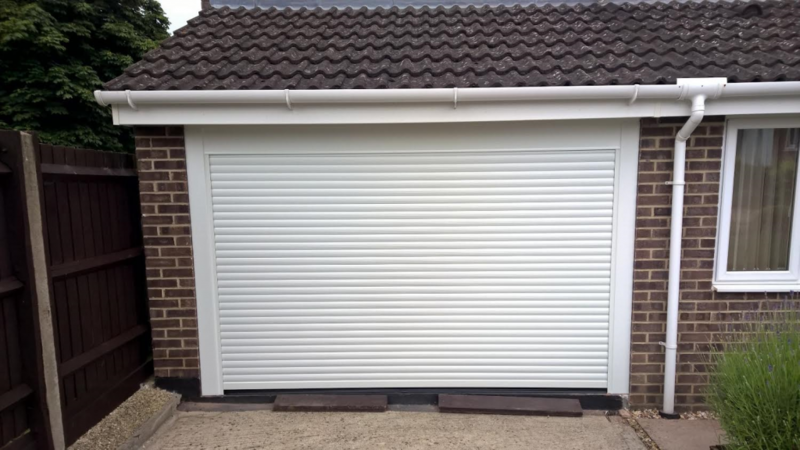 Perfect for where headroom is tight, the compact 55 door uses 55mm lath to allow the door to roll up into a smaller box. 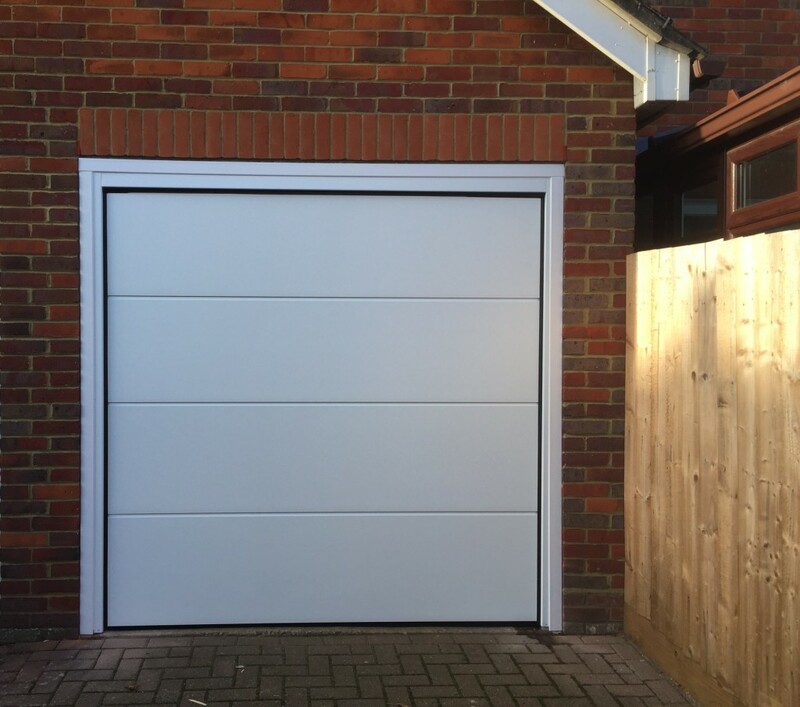 Electric automation and insulated, a perfect choice for smaller garages and comes with a ten year warranty on the door and five year warranty on the motor as standard. 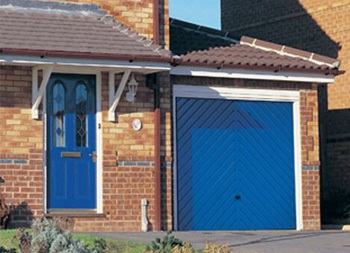 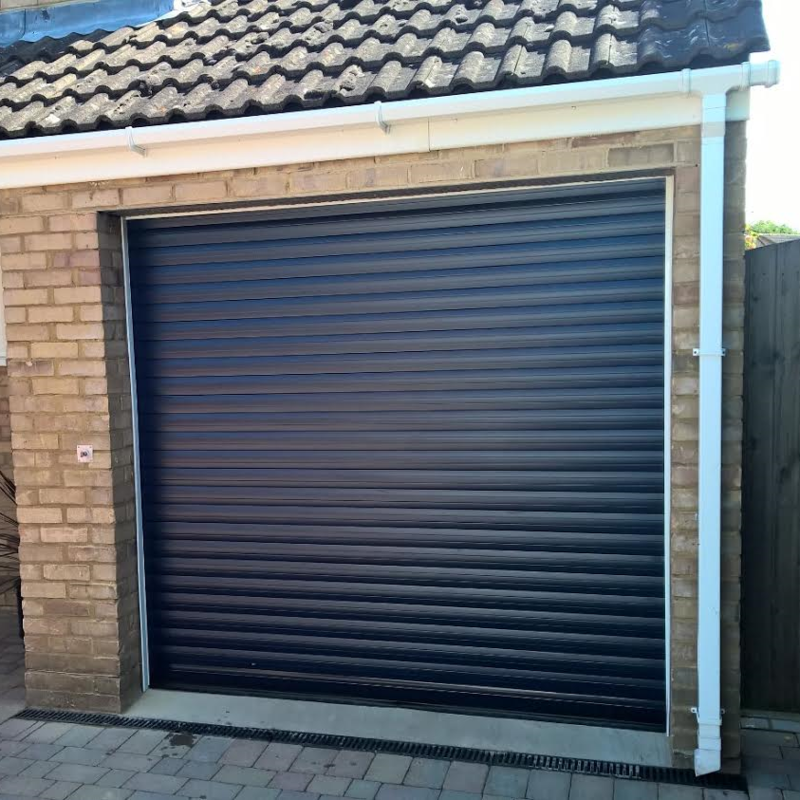 Thermaglide 77 Automated Insulated Roller Garage Door, fully finished in Blue, installed in Marcham, Oxfordshire. 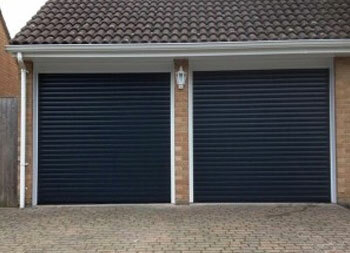 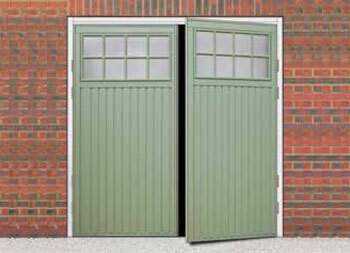 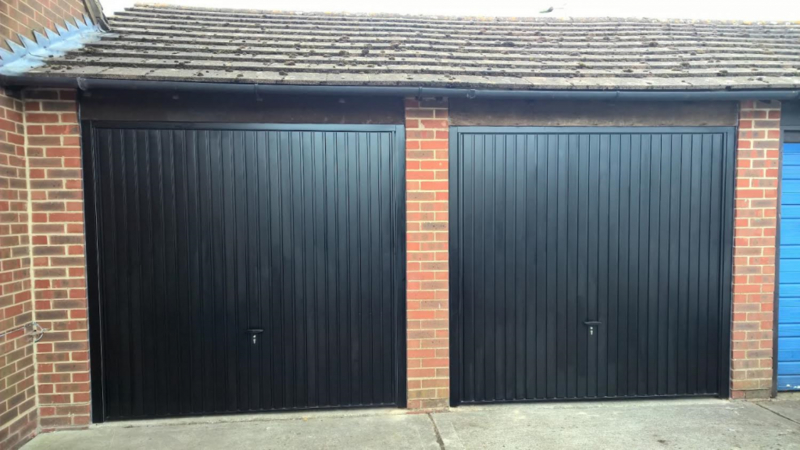 This pair of black Novoferm Thornby up and over garage doors were installed in Didcot, Oxfordshire. Chosen by two neighbours to improve the look and security of their garage block doors, they come with fully retractable lifting gear, ideal should you wish to add a motor for automated opening. 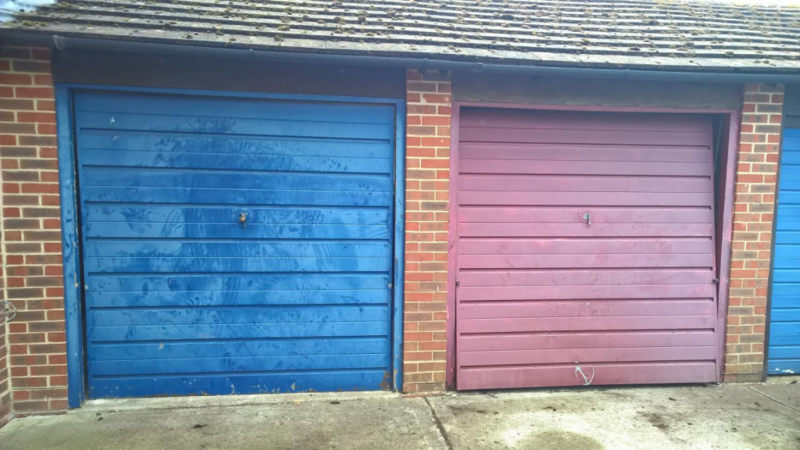 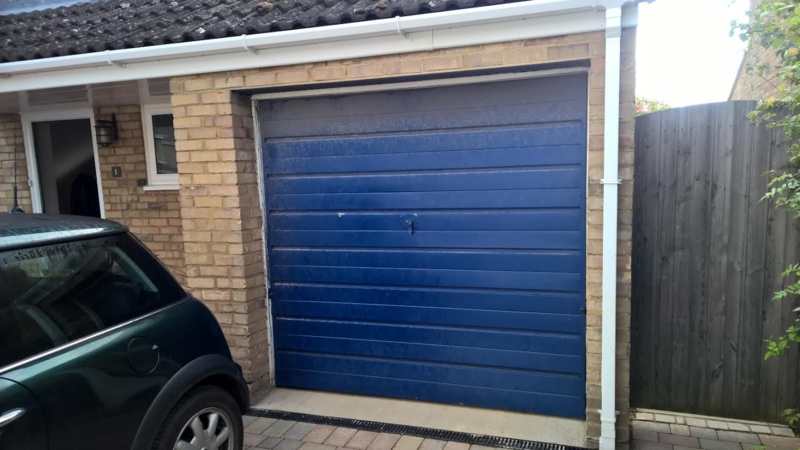 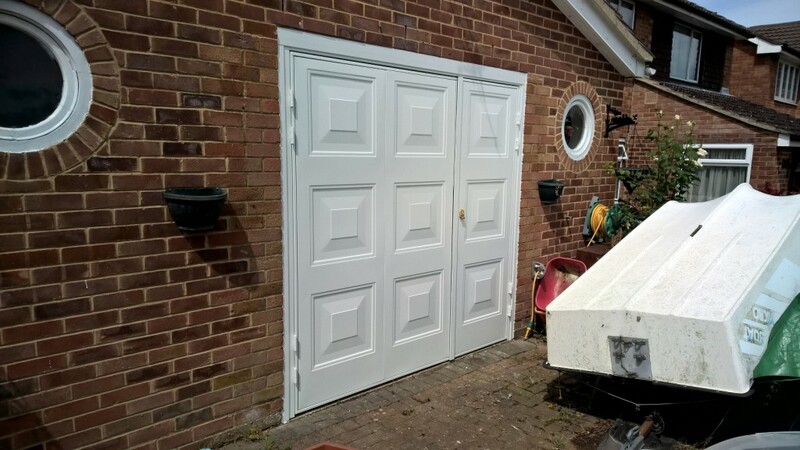 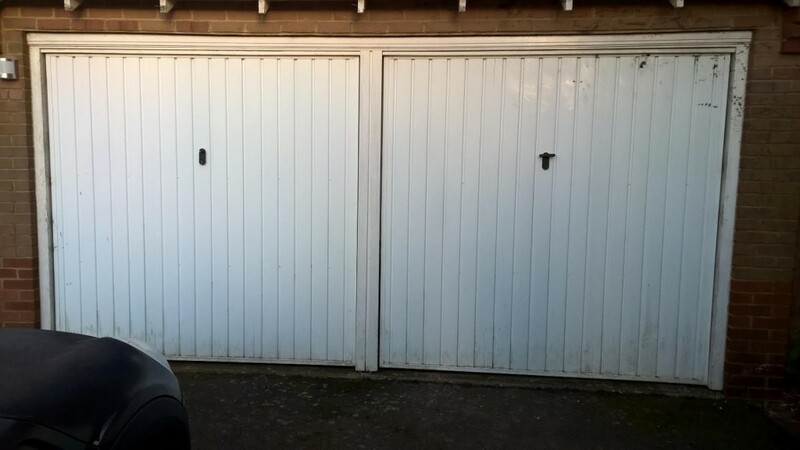 This sectional garage door was installed in Bicester, Oxfordshire. 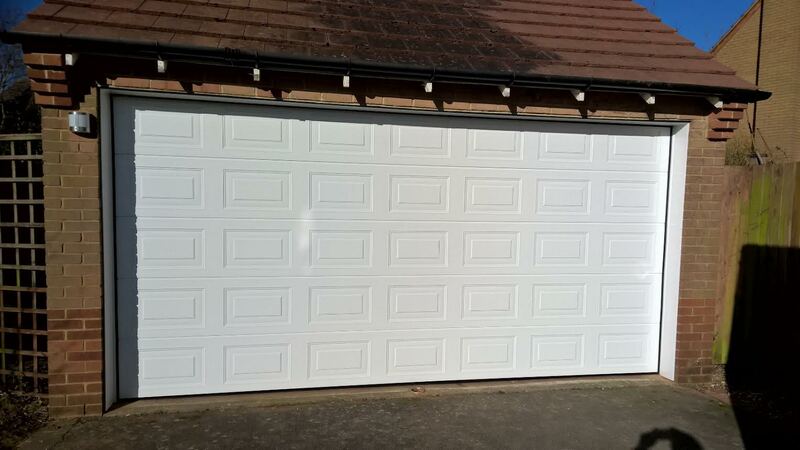 Our customer chose a Flush Smooth design in fully finished white. 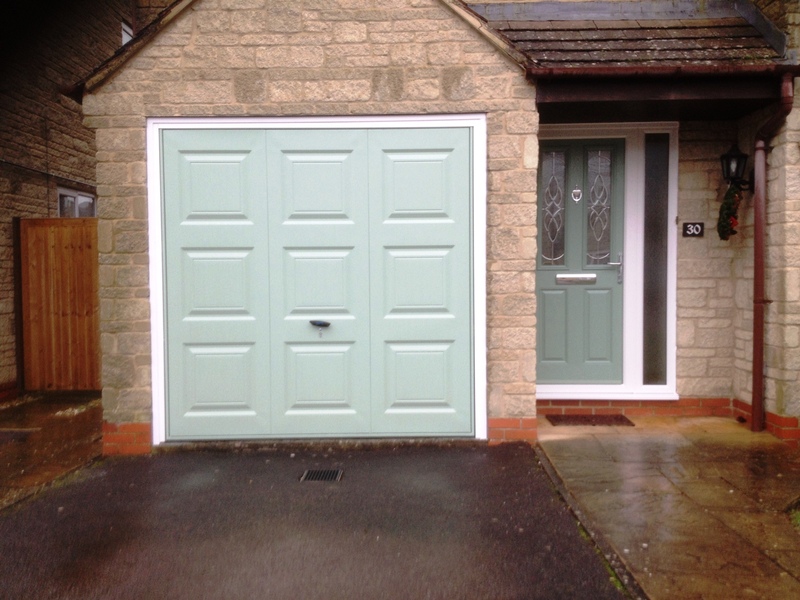 Chartwell Green is one of the more recent additions to our colour range for garage doors and is proving incredibly popular, especially in the Cotswold towns and villages. 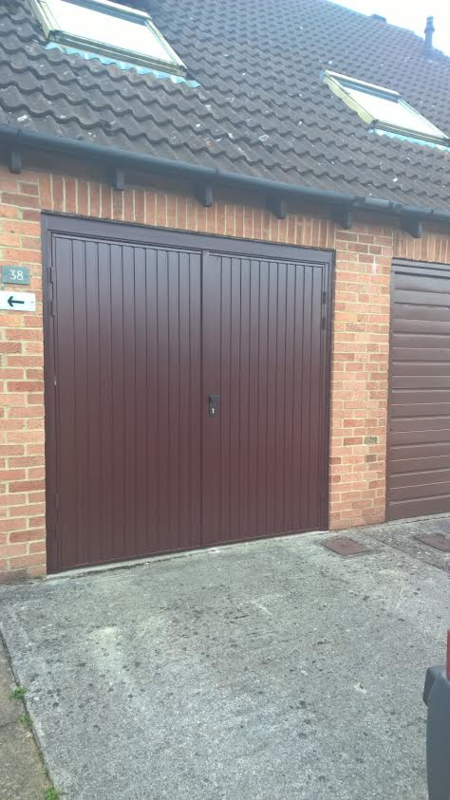 This stunning combination of a matching garage door and front door were chosen by our customer in Moreton In Marsh, Gloucestershire. 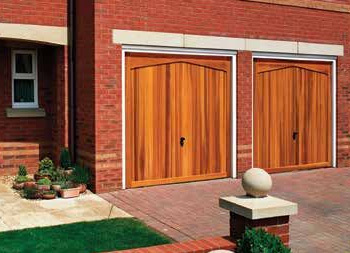 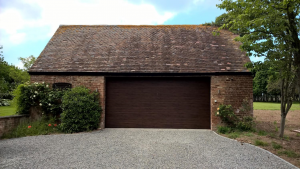 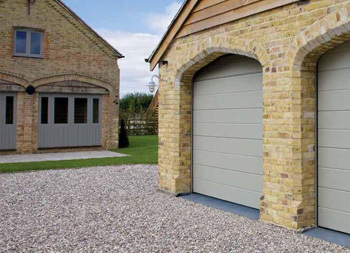 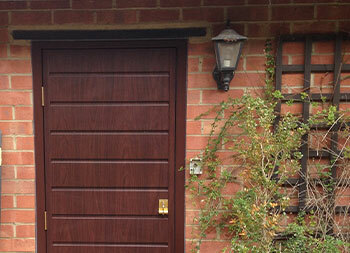 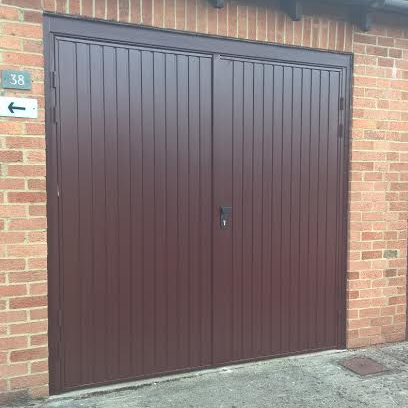 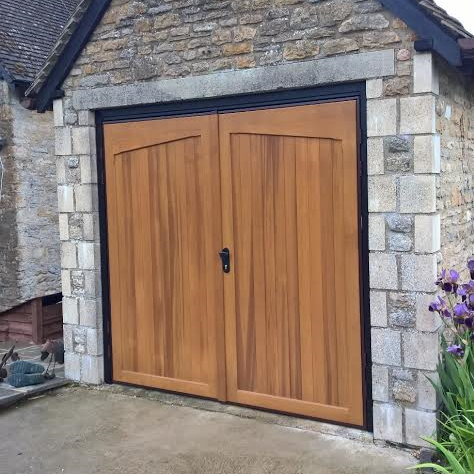 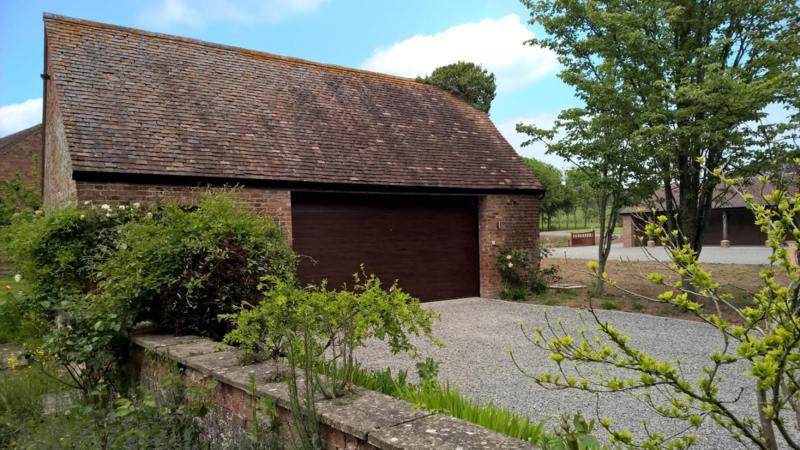 This stunning dark oak sectional garage door was fitted in a beautiful rural setting in Gloucestershire. 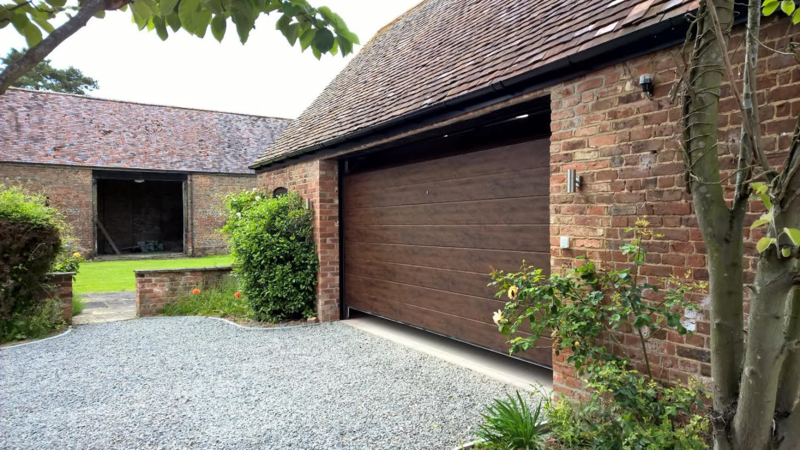 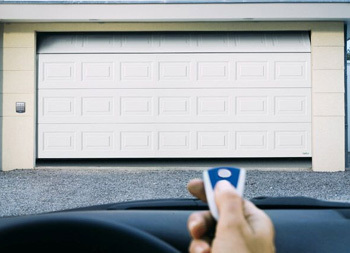 Comprised of individual sections connected together by hinges, the door opens vertically into the garage and with no ‘kick out’ as it moves, enabling you to drive right up to the entrance. 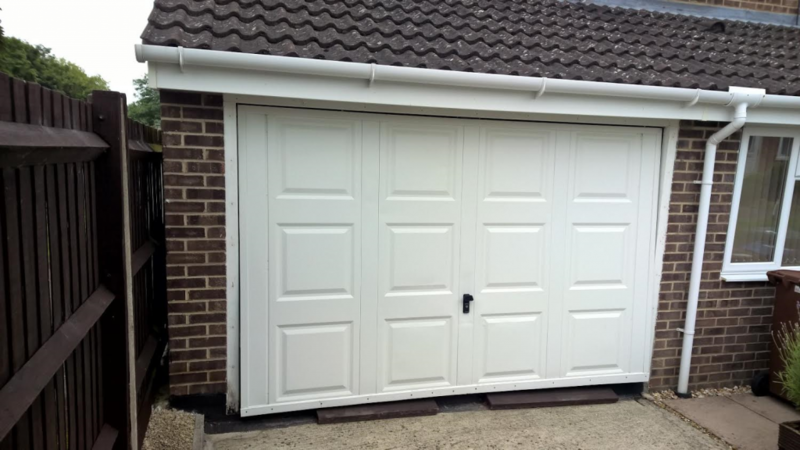 Built with high quality materials, incorporating the latest innovations in manufacturing technology together with a wide choice of options, gives your garage an individual look. Here the customer has chosen Dark Oak finish, one of six available weather-resistant, top-coated film laminates in authentic, rustic wood effect, with a smooth surface. 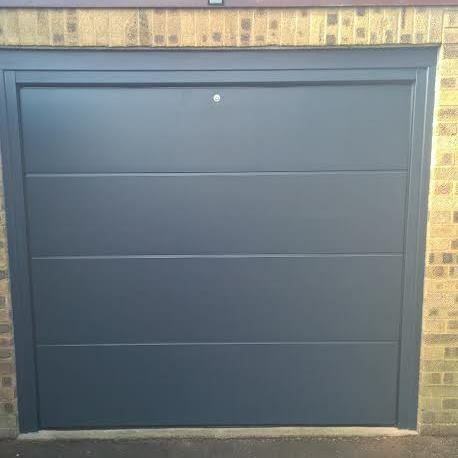 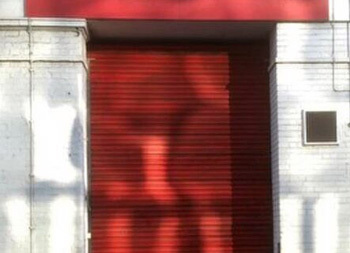 The doors are also insulated, which provides both a thermal and acoustic barrier and with the addition of a Novomatic 563 motor, fully automated. This garage has no other means of entry so an Emergency Release System has been installed (if you look closely you can see a small circle in the centre of the door) so should power fail, the door is still operable.